King Abdullah of Saudi Arabia has asked US President Barack Obama to become seriously involved in the Middle East peace process, and if necessary "impose the solution" on the Israelis and Palestinians. The king's request came as the US president visited Saudi Arabia on the second leg of his tour of the region. It follows a ground-breaking foreign policy speech by the US president in Cairo last Thursday, in which Obama called for reconciliation to be made between Islam and the West, and called for renewed efforts to resolve the Middle East conflict. While stressing the 'unbreakable bond' between Israel and the United States and insisting that the Palestinians reject the path of violence, Obama repeated his own assertion that Israel must halt all settlement activity within the territories, a position which clashes with understandings reached by previous American administrations. When Israeli officials objected to the change in US policy, their American counterparts reportedly told them that if they wanted to end the settlement debate, they ought to initiate negotiations on a border between Israel and a future Palestinian state. One Israeli official likened this proposal to a verbal threat, that the US was intending to withdraw support for the existing Israeli settlements in Judea and Samaria unless the government agrees to the establishment of a Palestinian state, something Netanyahu has been reluctant to do given the Palestinian refusal to halt terrorism. And it seems the Islamic world intends to milk this new hard-line stance for all its worth, knowing that any solution Obama decides to impose will now be much less favourable to Israel than previous regimes. Quote: "King Abdullah told Obama during his visit to Riyadh last week that Arab patience was wearing thin and that a solution of the Arab-Israeli conflict would be the "magic key" to all issues in the region, al-Hayat said, quoting what it called informed sources. "We want from you a serious participation to solve the Palestinian issue and impose the solution if necessary," the Saudi monarch told Obama, according to the paper, which is owned by a nephew of the monarch. It did not elaborate. As you can see, the day is fast approaching when the prophecy of Zechariah 12 will be fulfilled, and all the nations of the world will be gathered together to do battle against Jerusalem. For the Bible states that God will "make Jerusalem a burdensome stone for all people: all that burden themselves with it shall be cut in pieces, though all the people of the earth be gathered together against it", Zechariah 12:2. 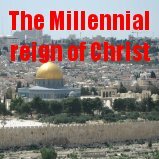 Far from being a "magic key" to resolving the conflicts of the region, the division of Jerusalem will actually be a precursor to the final battle of Armageddon, and the Lord has determined to destroy all nations that touch the "apple of His eye", Zechariah 2:8. The Bible prophesied of Ishmael, from whom the Arab nations are descended, "And he will be a wild man; his hand will be against every man, and every man's hand against him; and he shall dwell in the presence of all his brethren", Genesis 16:2. Even if Israel did not exist, the Arab states would still be fighting. 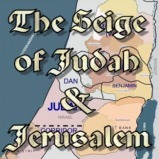 The Middle East conflict is simply an excuse for Arab nations to continue their policy of isolating the Jewish state. Unfortunately Obama's appeasement of Islam will never bring peace. The question is, where do you stand? Do you really believe that mankind has all the answers to this world's problems? Do you really believe men can achieve lasting peace in this world? Deep down inside you know that can't be true. Why? Because sin reigns in every man's heart. Until you deal with the problem of sin, there will never be peace in this world, nor in the one to come. There is only one Man who can deal with that problem, and that is the Lord Jesus Christ. He is the only Mediator between God and man (1st Timothy 2:5). He has made peace between God and man through the blood of His cross (Colossians 1:20). And all who believe on Him can receive the forgiveness of sins (Acts 13:38-39). 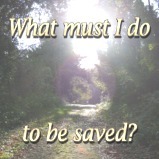 Why don't you trust in Him for salvation today.